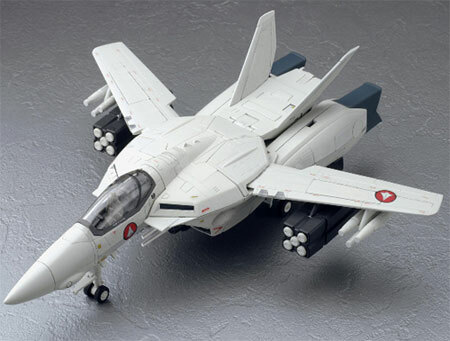 Update: 01/24/2010: HLJ announced a tie up with Yamato Toys which allows them to sell exclusive items such as this. This is selling for 5800 yen at HLJ. 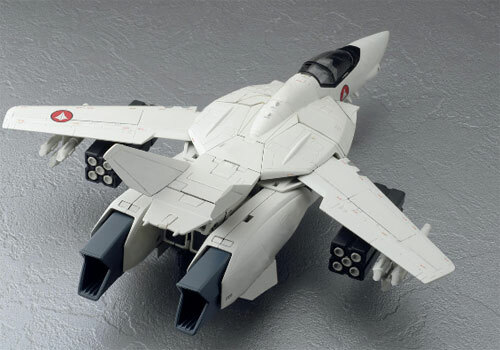 Just posted yesterday at the Yamato Toys site, an unpainted version of the iconic VF-1S from the original Macross tv series in 1/60 toy scale. Its scheduled to be available by December of 2009 and will have a sticker price of 8295 yen (after tax). The kit comes with the normal fare found in any 1/60 VF-1S made by Yamato, chiefly being: 4 Missile pods and missile launchers, Gun Pod, spare hands set, 1/60 scale pilot, stand attachments and other attachments for the gimmiks, stickers, decals and the manual. I guess you could call this fan service by Yamato, by giving an unpainted version to collectors who are into painting their toys, as well as model kit builders who are naturally pre-disposed to painting their collections. 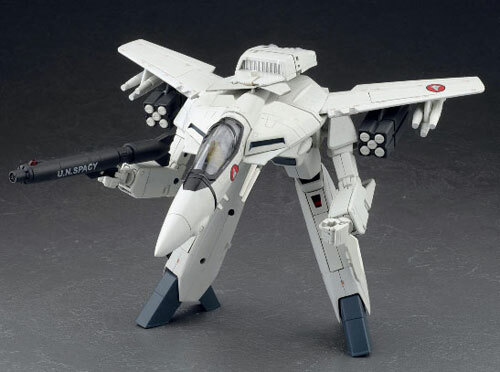 I feel that this would have been an even better toy if they offered as optional parts the different head versions of the single-seater VF-1's (VF-1A, VF-1J, VF-1S). And since the toys that Yamato offers on the Macross series is already very close to the quality of model kits, I'd recommend that they sell also 1/60 scale figures, equipment, furniture and service vehicles for the sake of Macross toy owners who are into turning their Yamato toys into diorama pieces. 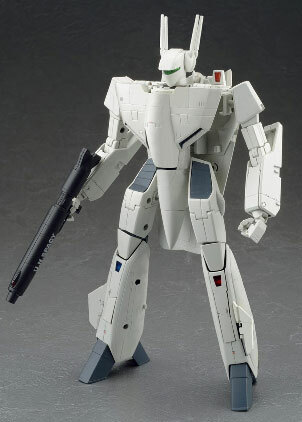 The VF-1S is the squadron leader variant of the VF-1 and is easily differentiated by the four cannons on its head. Notable characters how have flown this are Skull Squadron commander, Roy Fokker and his protege, Hikaru Ichijo. In the DYRL movie, aside from the two, Maximillian Jenius has also rode into battle in a VF-1S adorned with his signature blue colors.